Hyperbaric Chamber for Autism: Does Hyperbaric Oxygen Therapy Actually Work? Hyperbaric oxygen therapy has a lot of benefits. In fact, it is among the most versatile forms of therapy out there. With its wide array of therapeutic functions, it’s no surprise that it is often recommended by medical experts. Now the question is: does this include the treatment of autism? Some people seem to think so. Is hyperbaric oxygen therapy (HBOT) really effective for children with autism? Today we’re going to discuss the relationship between HBOT and autism. Hyperbaric oxygen therapy is focused on increasing the patient’s oxygen intake. And because our bodies require oxygen in order to function properly, this treatment is very versatile. It affects many aspects of our health, and therefore helps fight a lot of different conditions. HBOT works by putting the patient in a hyperbaric chamber, where they lie down for around 2 hours. Air pressure is increased inside the hyperbaric chamber, often up to three times the normal air pressure. This process allows the patient to take in more oxygen at a time. It allows the blood to carry more oxygen than is possible under normal air pressure. 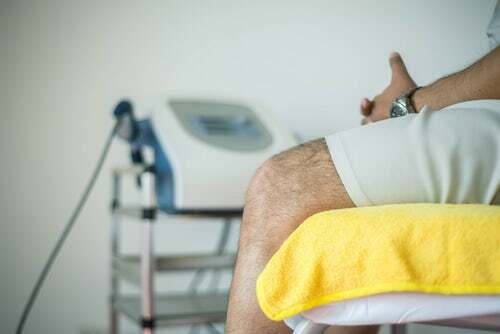 HBOT helps stimulate the release of stem cells and growth hormones, which are naturally occurring substances in the body that promote healing. This unique therapy helps treat serious infections, decompression sickness, arterial gas embolism, and non-healing wounds. Hyperbaric oxygen therapy is also used for burns, carbon monoxide poisoning, as well as gangrene. Some doctors recommend it for severe anemia, radiation injury, and sudden deafness. Despite its many benefits, HBOT and autism have a complicated relationship. Some people say it’s effective, some people say it doesn’t help at all. But what we can say for sure is that HBOT’s effectiveness in terms of treating autism is currently unconfirmed. If you want to try HBOT for your child, it’s best to consult your doctor beforehand and ask for their opinion. Until we can get enough evidence about its effects, this will remain a delicate issue. Doctors are still studying the benefits of HBOT for autism treatment. It is supposedly capable of healing the gut, as well as brain inflammation. HBOT advocates say that the treatment can help decrease inflammation while reintroducing oxygen into specific parts of the body. Some claim that it helps improve overall functioning, speech, eye contact scores, and receptive language. HBOT is also said to decrease irritability and hyperactivity. Hyperbaric oxygen therapy is a safe procedure. In fact, it can even be done at home. You can purchase or rent a hyperbaric chamber. HBOT typically costs $100 to $150 per session. Keep in mind that every form of therapy has a unique response for every patient—this applies to HBOT as well. This may not be suitable for patients who are suffering from claustrophobia. Other than that, the treatment is considered safe. It may be awhile before HBOT’s role in treating autism can be confirmed, but for now we can enjoy it for all the things it can surely do.